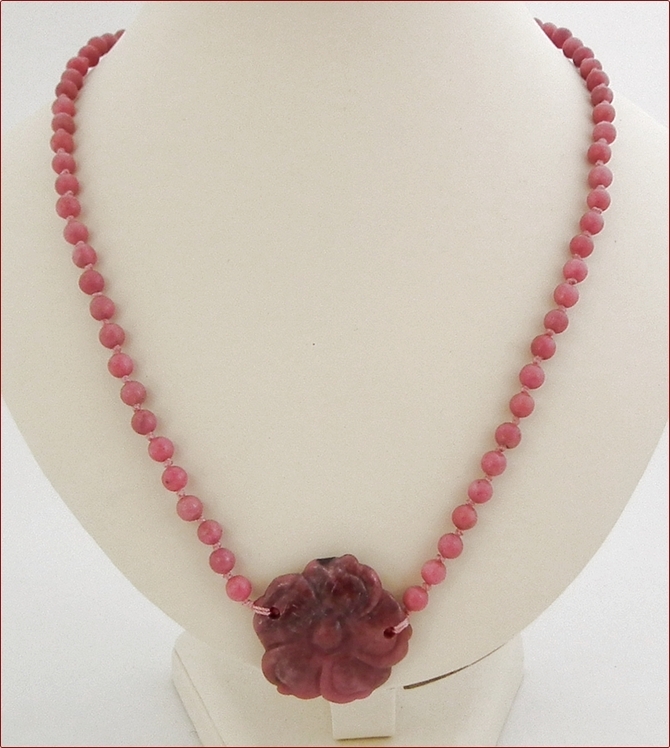 Dusky pink is so wearable - it goes with practically anything - and rhodonite is a lovely shade of natural dusky pink. 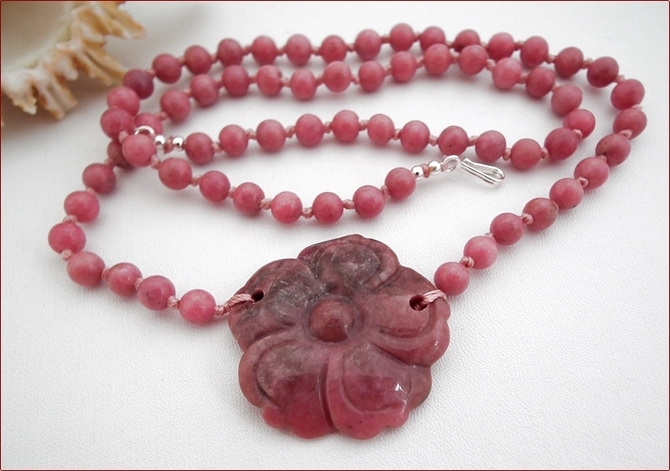 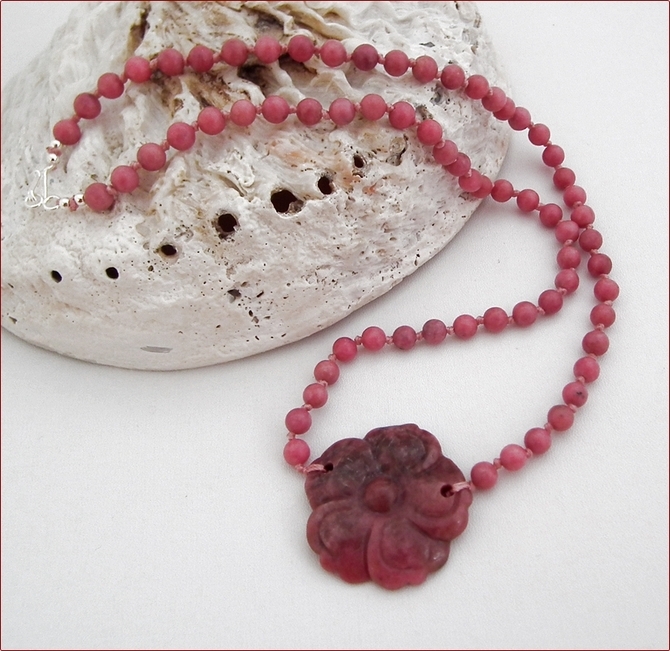 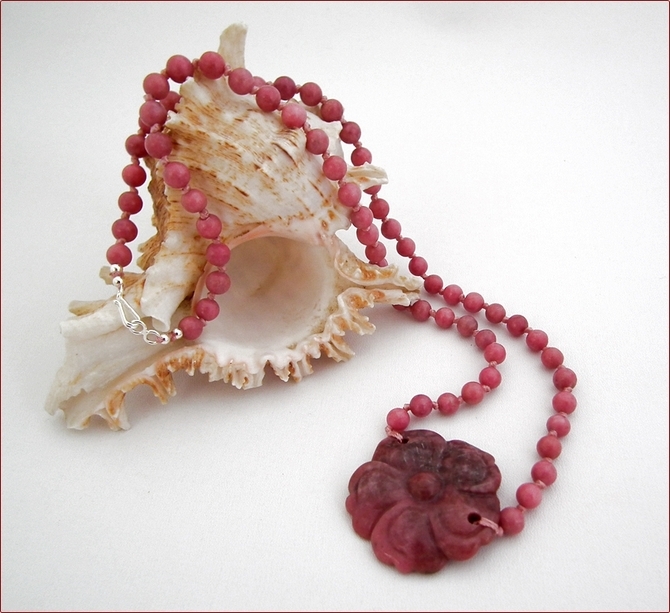 Here I've knotted 6mm rhodonite round stones and included a carved rhodonite flower pendant for added interest. 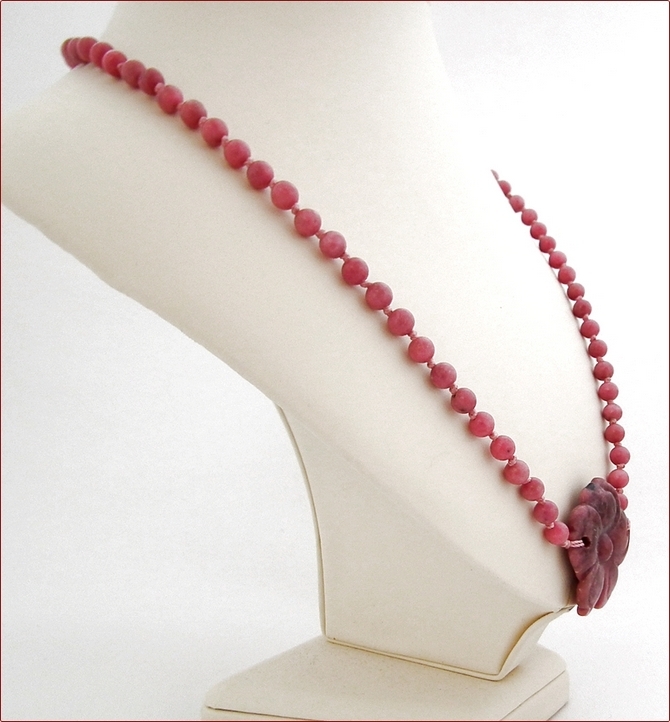 The necklace is 23.5" (600mm) long, fastening with a sterling silver hook clasp, so it is long enough to wear outside a blouse or shirt, or with a dress.